"The book attempts to present a broad coverage of topics, with the intention of providing sufficient background for newcomers as well as highlighting hot topics of research and specific challenges, both technically and theoretically. Given the interdisciplinary nature of the area, this is no mean feat, and taken as a whole, the collection succeeds. 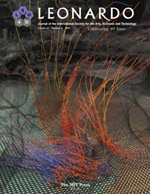 Each author takes care to contextualize their particular research: Chapters typically open with a conceptual and technical introduction to the biological mechanism or technique used and then provide an illuminating overview of the current state of their particular area of application before giving a thorough description of their design and implementation process." "Overall, the authors and editors have done a great job of providing an informative and inspirational overview of this multifaceted research area. Taken as a whole, the book provides insight into the motivations, methods, results, and aspirations of a great range of current practitioners in the field of evolutionary music and art. 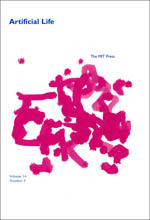 Material is presented at sufficient breadth and depth that the book is accessible to technically competent artists and musicians, but also to artificial life researchers who may have an interest in how familiar techniques can be applied in creative settings. This is not a glossy coffee table book, but it is a very realistic and honest overview of the current state of the art of artificial evolution, in all its incarnations." "The Art of Artificial Evolution, edited by Juan Romero and Penousal Machado is a recent attempt to collect key ideas from this Neo-Darwinist wave around digital design. It promises to be a “handbook on evolutionary art and music” both offering some historical contextualisation and chapters on recent practical work on swarms, evolutionary algorithms and digital design." "The collection works well, as the subtitle promises, as a handbook. A nice bonus is the DVD attached with visual and sonic examples as well as some experimental software for trying your own go with a bit of evolution and swarming." "Looking at the book as a whole I think the editors have achieved their objectives and have created a good handbook for evolutionary art and music. It contains extensive background information and discusses a wide range of techniques and a large number of application areas. It is intended for a wide readership, ranging from researchers to artists, but it requires at least basic knowledge of the concepts of evolutionary computation. Therefore, it is probably more interesting to researchers already in EC (either beginners or experts) than to computer scientists or artists in general. For people already active in evolutionary art and music, or who want to start working in it, I would certainly recommend this book. It certainly deserves a place in university libraries. Given the number of pages, colour images and the DVD that accompanies it, The Art of Artiﬁcial Evolution is reasonably priced." "A great strength of this collection is its inspirational potential. While reading it I compiled notes for five possible projects derived from (and often fusing) the techniques presented. I enjoyed reading the book, finding it both educational and thought-provoking. Anyone interested in evolved art should peruse this tome. It grants a sense of the breadth of the field and also permits readers to evaluate their personal potential and preparedness to become evolutionary artists. Serious practitioners will want this volume in their collections." (Journal of Mathematics and the Arts, Vol. 2(2), 2008, pp. 103a "106)"A great strength of this collection is its inspirational potential. While reading it I compiled notes for five possible projects derived from (and often fusing) the techniques presented. I enjoyed reading the book, finding it both educational and thought-provoking. Anyone interested in evolved art should peruse this tome. It grants a sense of the breadth of the field and also permits readers to evaluate their personal potential and preparedness to become evolutionary artists. Serious practitioners will want this volume in their collections." The book is now available from Springer Europe. Check Where to Buy for ordering information.